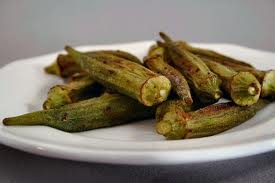 Rinse & dry whole okra. Toss with olive oil & your favorite seasonings. Bake at 425 for 25 minutes.